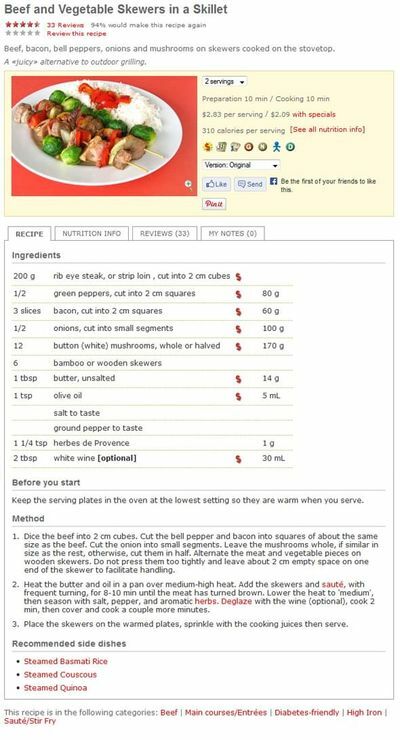 All SOSCuisine recipes are quick and easy to prepare. SOSCuisine is also confident that these recipes will be a success every time, regardless of the number of servings, which is by no means the norm in cookbooks or websites. The secret? We have created, tested and adjusted each of these recipes in-house many times and for different servings, in order to standardize them. So this makes them error-tolerant. All of our recipes and photos are original and belong to SOSCuisine. Instructions and quantities are accurate and detailed to leave as little room as possible for doubts and chance. Ingredients are easily available. 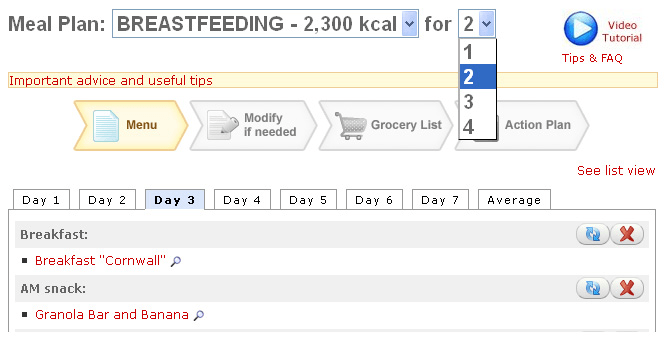 Recipes are available from 1 to 8 servings. The ingredient amounts are adjusted automatically depending on the number of servings, so as to ensure a consistently tasty end result. 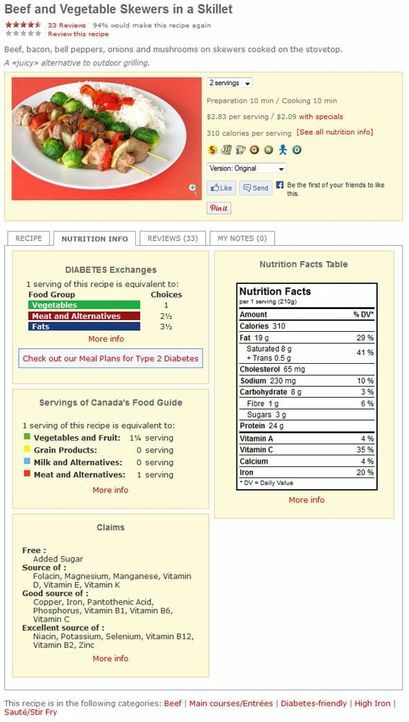 Each SOSCuisine recipe is accompanied by the corresponding Nutrition Facts Table, the number of servings of Canada’s Food Guide, Diabetes exchanges and nutritional and health claims. Add private notes on the recipe sheets. These notes, for example your personal adjustments, will be useful for you next time. Click on the culinary terms for a detailed explanation. These definitions of cooking-related vocabulary will help you understand and nail the recipes.